Kambrook KTA470BSS toaster 1550w power self centering, wide toasting slots carriage control lever with extra lift 6 stage browning control cancel, reheat and defrost settings removable crumb tray cord wrap self centering wide toasting slots yes browning control 6 stage carriage control lever with extra lift raises toasted items higher for easy removal removable crumb tray for easy cleaning. 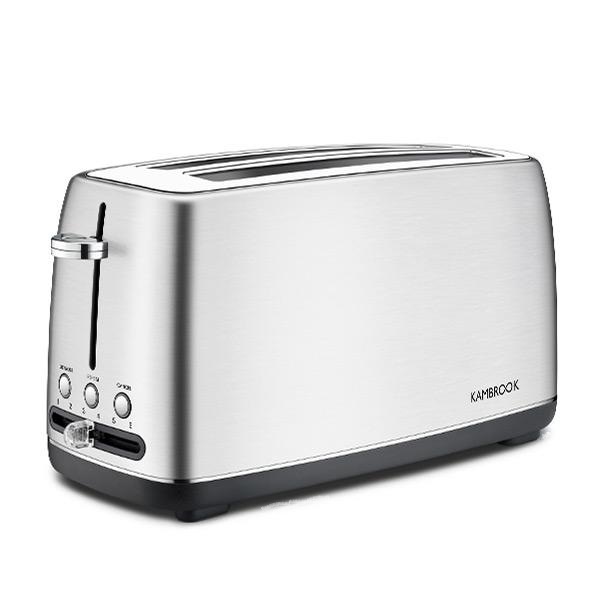 The Kambrook KTA470BSS Toaster was added to the Toasters category in February 2018. The lowest price GetPrice has found for the Kambrook KTA470BSS Toaster in Australia is $63.00 from Billy Guyatts.